The Halo remake is sadly not a sign of things to come. 343 Industries' Frank O'Connor says that the gussied up re-release of Halo: Combat Evolved isn't the start of a series of HD remakes from Microsoft. Instead, it's being created specifically to celebrate the game's tenth anniversary. "We started work on Halo Anniversary conceptually a couple of years ago," he said. "It was something people had asked for really specifically, like: 'Give us an HD remake of Halo.'" He said that the remake was like a gift to players, and that timing played a really big part. "If this was the 12th year [since Halo launched] we probably wouldn't be doing it. It's a specific event." 343 were coy about whether Halo 2, which turns ten in 2014, would also get a remake, neither confirming not denying it. However, as Halo 2 was one of the most popular game on Xbox Live for years - with people playing it until they literally couldn't anymore - it seems a pretty safe bet that we'll be seeing it remade in the future. Of course, even if Microsoft isn't about to release a bunch of HD remakes, it doesn't mean that third party developers and publishers won't. 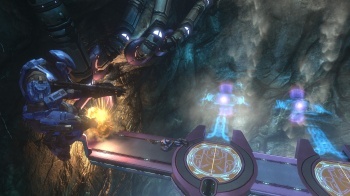 Konami, for example, is bringing the Metal Gear Solid collection and the Zone of the Enders collection to the console. Hopefully, more developers will follow suit, as there are plenty of classic games from the last generation that would look great with updated graphics.